A delightful stoneware plate from Poole Pottery in their popular "British Garden Birds" series. 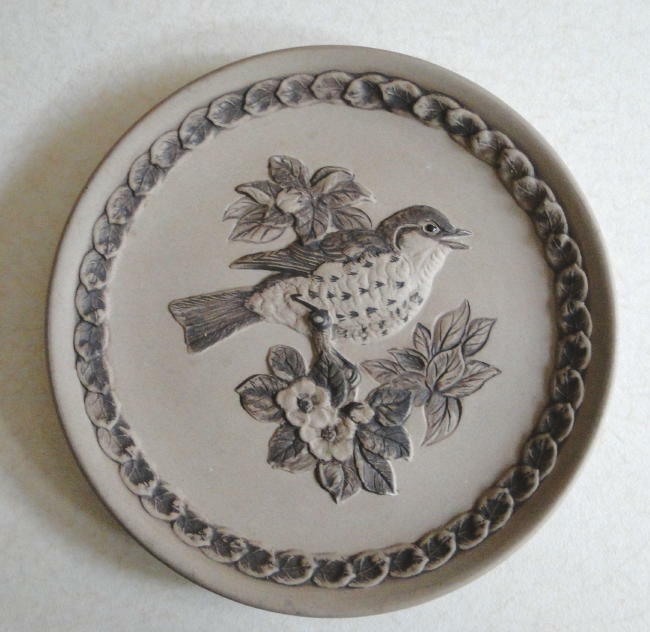 The plate, entitled "The Song Thrush" was designed and modelled by Barbara Linley-Adams. 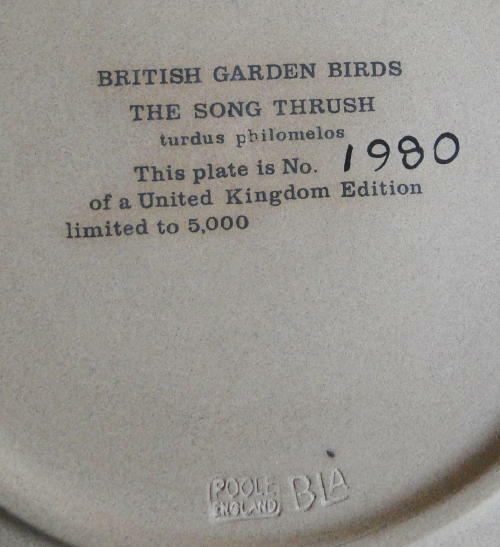 The plate is fully back-stamped and is number 1980 of a limited edition of 5000 such plates. This plate has a diameter of approximately eight and a quarter inches. It is in very good condition. These stoneware plates have become highly collectable in recent years, so make sure that you complete your collection while we still have such items in stock.